Cute and clean home located just blocks from Bidwell Park! This 2 bedroom, 1 bath - plus bonus room - bungalow has many features you will love. It includes a large picture window with views of the low maintenance front yard, custom cabinets and tile counters in the kitchen. Home has newer vinyl windows, gas stove, dishwasher, and ceiling fans throughout. There are sliding glass doors from the kitchen and master bedroom to the backyard. New roof and water heater installed in 2017. Step foot outside to the spacious backyard that is fully fenced with lemon and pomegranate trees. It's a perfect space for entertaining family, friends and pets. 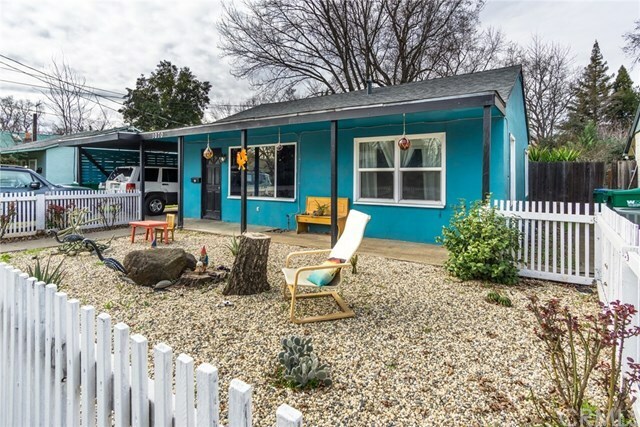 With its convenient location next to Bidwell Park, HWY 99 and short walk to Downtown Chico, you wont want to miss out on this opportunity!